Music for soul in Vitebsk Philharmonic Hall. Driving through Lenin Square, one of the central squares of Vitebsk, you unwittingly keep your eye on the Building of Vitebsk Region Philharmonic Hall. Majestic columns, a fronton, and light colour of the building makes this structure more like an ancient temple, high and noble. If you are interested in not only the culture of our city, but also the architecture of Vitebsk, I advise you to certainly pay attention to this Vitebsk sight. Initially, a city theater was located on Lenin Square, where there is now Vitebsk Region Philharmonic Hall. Theatrical performances in Vitebsk have been known since 1671. At that moment Jesuit College`s school theater had been acting, though not for long, only until 1765, in Vitebsk, performances of buffoons were often held. It took nearly a century, and on December 23, 1845, on Lenin Square, Smolenskaya Square at that time, a municipal theatre opened. In fact, sometimes the history of Vitebsk echoes with its architecture in the most unusual way. 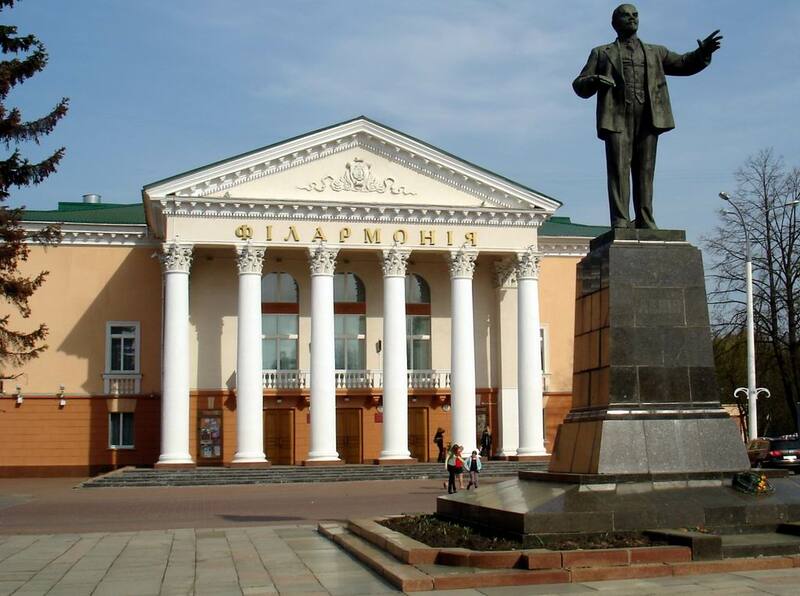 By the way, the theater had successfully worked until 1941, and during the war was evacuated to Uralsk. Coming back to Vitebsk after World War II, the artists saw a destroyed building of the theater, which, unfortunately, could not be renewed. This fate visited not only the most beautiful building in the city, but almost whole architecture of Vitebsk. As time went on, and a building was constructed on the place of the theatre for the Palace of Culture belonged to public services office, which in 1957 was designed by architect A.Efremenok. It had been for a long time, and only after 32 years the tour and concert department of the Belarusian State Philharmonic Society founded Vitebsk Region Philharmonic Hall. It was reopened in 2005 after an extensive renovation. But the biggest changes covered the interior of the building, the builders almost did not touch it outside. Therefore, we can say that Vitebsk Philharmonic Hall has not only a great history that reflects the culture of Vitebsk, but which has been able to maintain its original appearance. It is made in stone colour, which perfectly matches the green of the old fir trees on the square. Six massive columns located at the main entrance to the Philharmonic Hall, support the dome of the building. Coming inside, you will feel as if you appeared in a different era: flashing parquet floors, heavy velvet curtains framing the large window openings, "gold" chandelier - all this makes the Philharmonic look like a palace. Although, talking about the Philharmonic Hall, it is worth mentioning it, not only as an architectural attraction of tourist Vitebsk, but also the events that it holds. The most significant is probably Ivan Sollertinsky International Music Festival held annually since its opening. It includes a variety of concert programs and, at the moment, it is the only chamber music festival in Belarus, which shows not only a wide range of musical skills, but also introduces with fine arts and theater. Vitebsk Philharmonic Hall is also known for its orchestras. They include not only instrumental, but also dance ensembles. Balalaika octet "Vitebsk virtuosos" should be noted and named Vitebsk "pearl". It was created by Tamara Shafranova, Honored Artist of the Republic of Belarus. Amazing orchestral sound is achieved due to the fact that this team collected all kinds of balalaika. From the very tiny piccolo balalaika to an impressive bass. This is really a visiting card of Vitebsk Philharmonic Hall. Vitebsk Region Philharmonic Hall, of course, affects not only the culture of Vitebsk and its native inhabitants, but also the visitors, everyone will find something interesting there. Not far from the Philharmonic Hall there is the Botanical Garden and Shmyrev Museum. You can read about these attractions of Vitebsk in details on city portal VitebskCity.by. 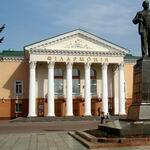 Address of Vitebsk Region Philharmonic Hall: 69 Lenin Square, Vitebsk. Working hours - Tuesday-Saturday: 12.00 AM– 7.00 PM, Sunday: 12.00 AM – 4.00 PM, Holiday - Monday. Phone: +375 212 370272, 362103, 370834.